They’re forming exploratory committees. They’re giving speeches in Iowa. 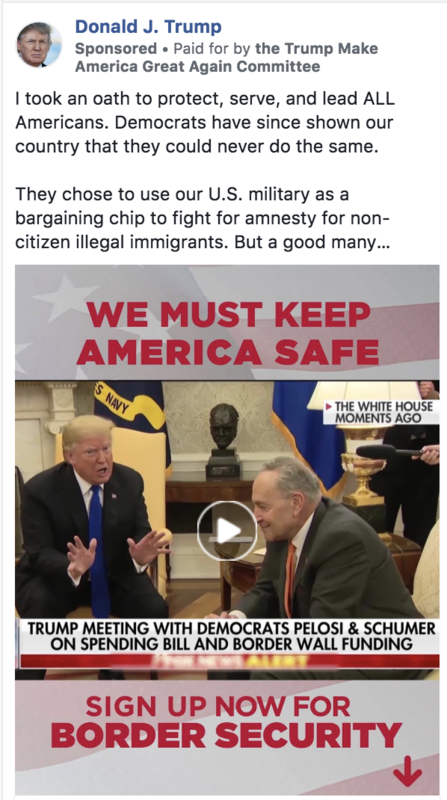 And they’re visiting diners and coffee shops in New Hampshire. 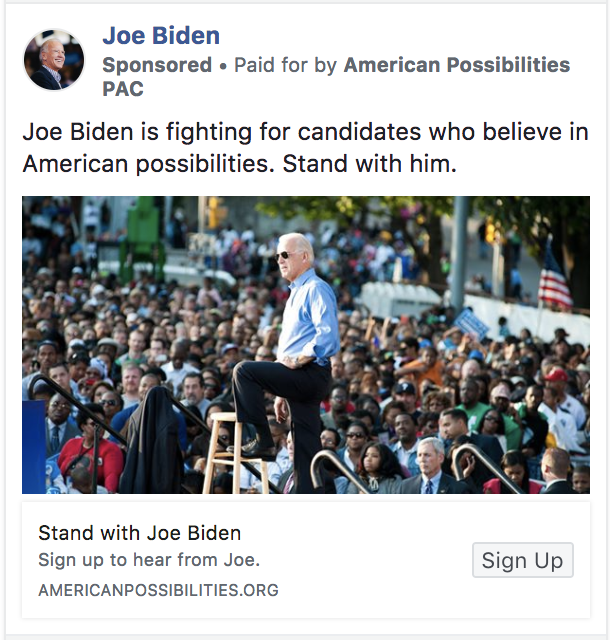 It’s not even 2019 and the 2020 campaign is already underway. 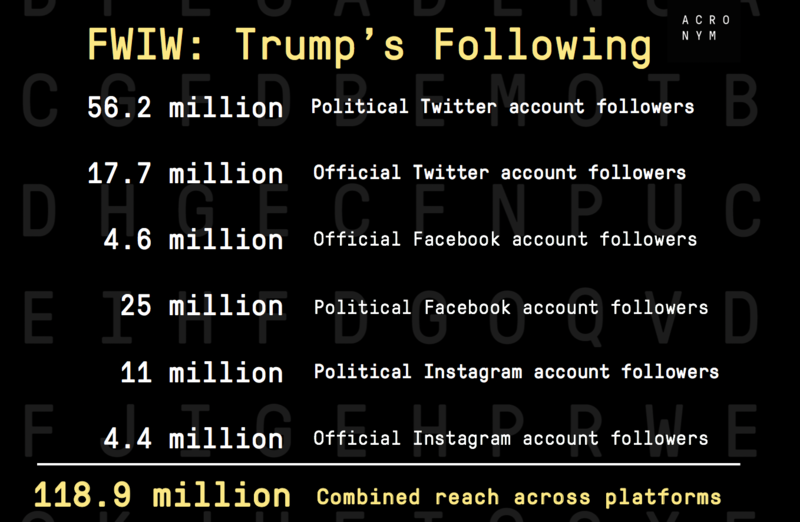 So this week, we took a look at where the nearly-forty potential Democratic candidates stack up in terms of their current social followings, and who’s already investing resources to expand their reach. 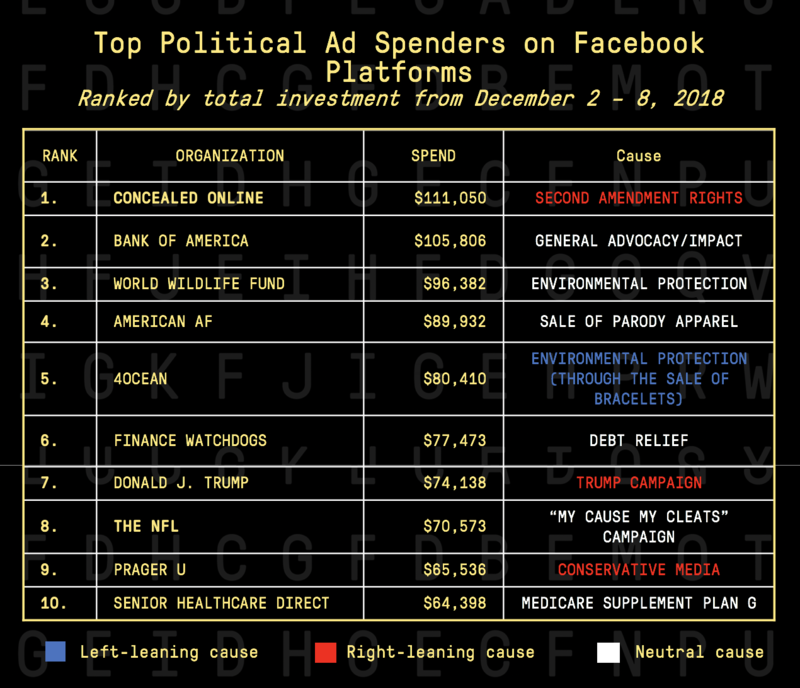 Here’s a list of the top political spenders on Facebook the week of December 2 – 8 and the causes they’re advocating for. 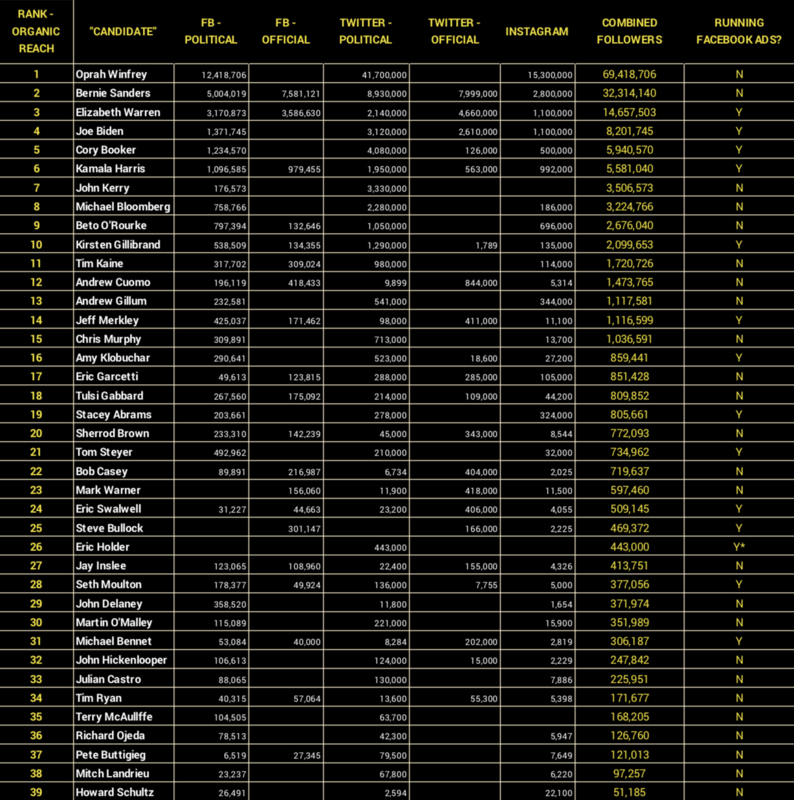 Some interesting additions to the list this week include Bank of America and the NFL. With the 2020 election buzz ramping up this week, we looked at nearly 40 potential Democratic candidates, ranked from highest to lowest reach/following across Twitter, Facebook and Instagram. 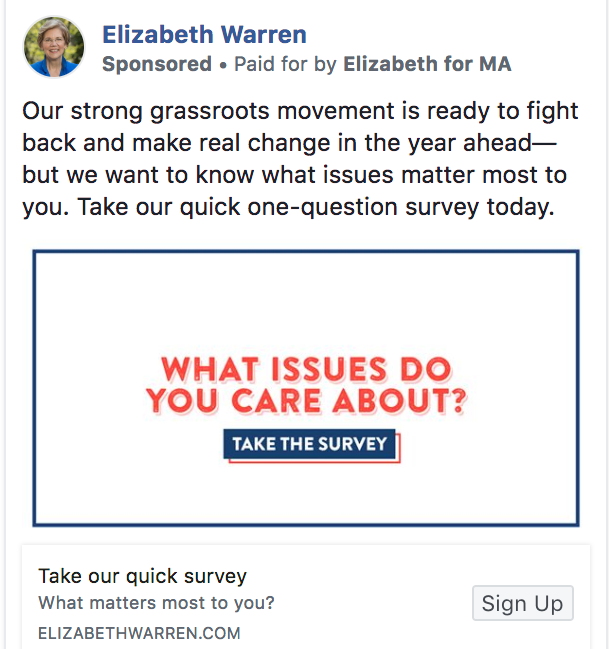 When we dug deeper, we found that every potential candidate currently running ads through their own channels or their PACs were running petition or survey ads to build followings and acquire voter data – except Stacey Abrams. 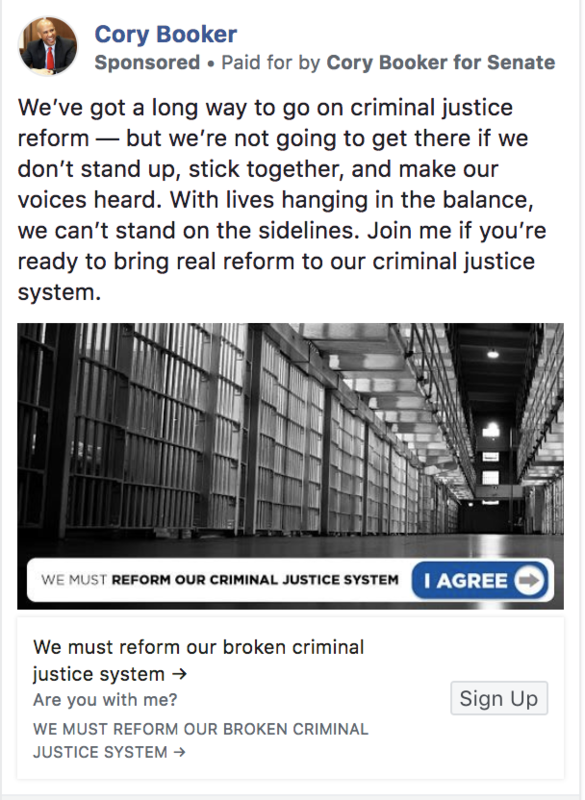 Fair Fight Action – the organization Abrams chairs, is running ads urging Georgians to report cases of voter suppression, in addition to ads advocating for Americans to sign up for health care during open enrollment (for the second week in a row). 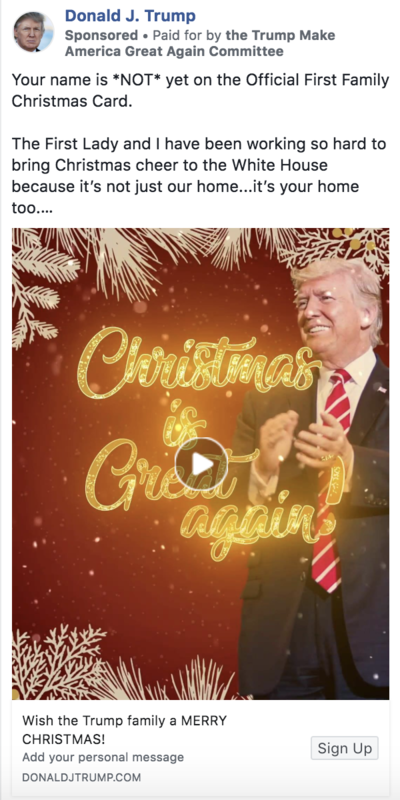 And as of Thursday afternoon, Trump’s Make America Great Again Committee alone was running over 5,800 active ads on Facebook’s platforms. We have no idea if Oprah is seriously considering a run at the White House. 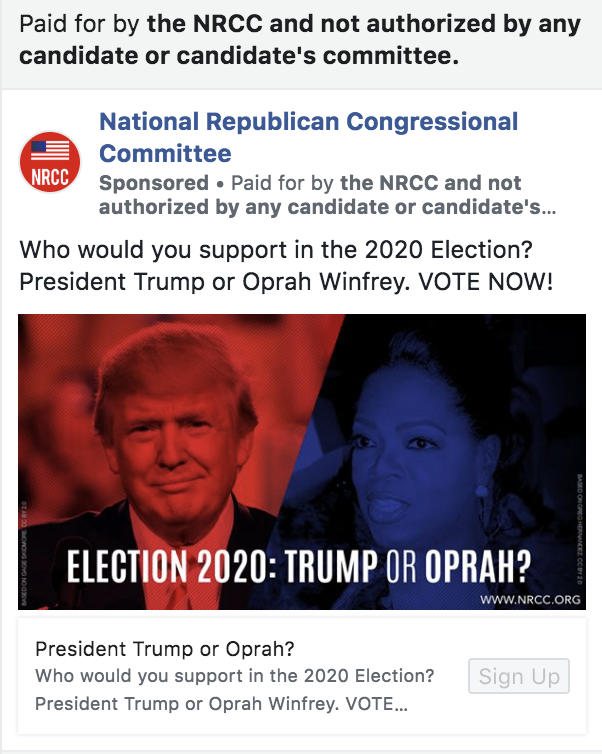 But if she were, she’s the closest match to Trump in terms of organic reach through social media channels if the race started today. And we might not be the only ones who have our eye on her.